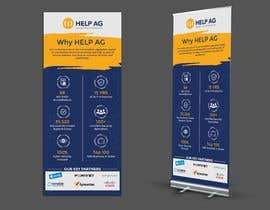 Help AG is leading cybersecurity company. 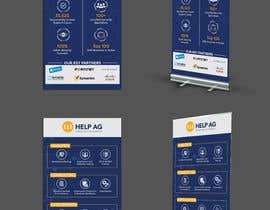 We wish to get two roll up banners designed. The idea is to showcase our company, the services we offer and why are we the best ! I have attached here our logo, and our portfolio and USP points for reference. You can find more info on our official website. On Banner 2, you can highlight some of our key partners: Palo Alto Networks, Splunk, Symantec, Fortinet, F5, Infoblox, Ixia, Beyond Trust, Cisco, Mimecast, OKTA, OPSWAT, Nozomi Networks, Pulse Secure, Skybox, and Tenable. Please dont just reject the visuals. If you can give some feedback I can definitely improve on them. I made #7 according to your brief so I am sure it cant be too far from the mark. Hi. What are the required sizes for the poster? Him what is the size of your banners? Working on this now. Please wait for my entry. Thank you.